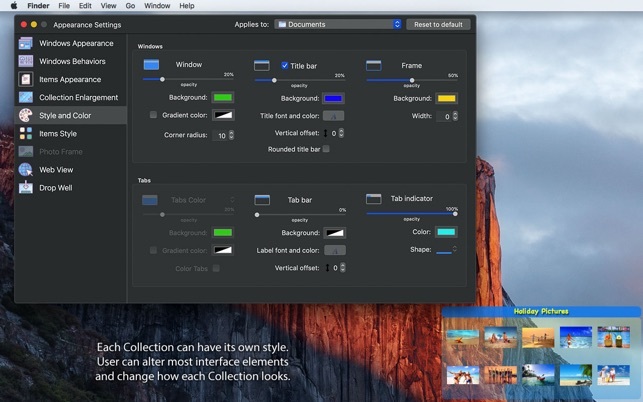 iCollections is an expertly designed application which helps you keep your desktop organized. 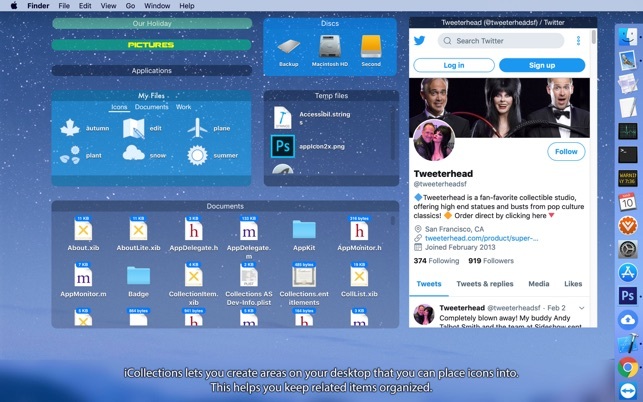 The app’s unique features are what make it the most popular method of desktop organization for Mac users. 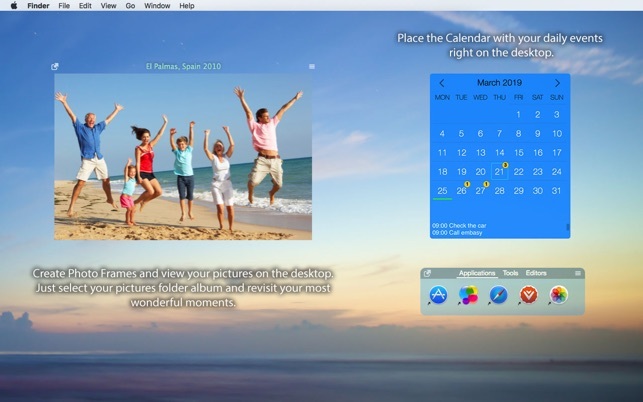 Display your favourite website right on the Desktop – Facebook, YouTube, Twitter, news, or any other of your choice.